Late Wednesday night after my lemon pound cake was baked and my other dishes were prepped– stuffed baked pumpkin, garlic green beans and corn pudding–I sewed. 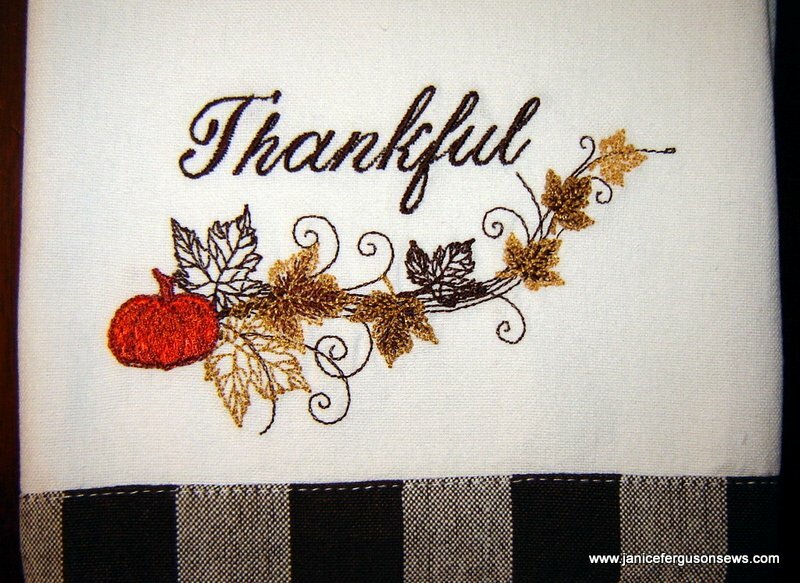 Embroidered dishtowels are my standard Thanksgiving day hostess gift. The brown gingham-bordered towels are from AllAboutBlanks and the designs are a combination of files. The fall leaf spray is from Kreations by Kara Autumn Wreaths (a GORGEOUS collection) and the text and pumpkins were added with my Brother PE-Design. 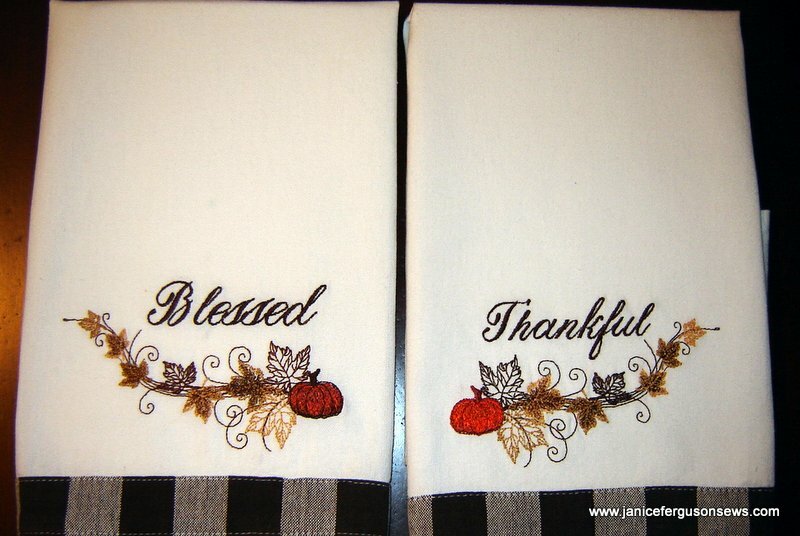 By mirror-imaging the same fall spray design and adding two different expressions of gratitude, this pair of towels is a more attractive set as they hang side by side. The colors were varied on each towel, though that hardly shows up in the image. 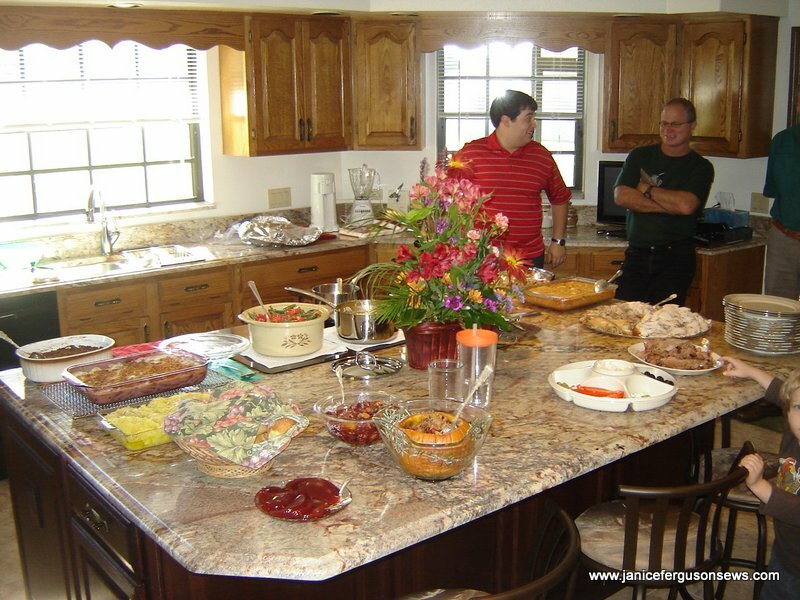 We had such a good time visiting with extended family we see infrequently. Among the guests were 90 year-old Ruby who drove herself to her son’s home with her fresh-from-the-oven pumpkin, pecan and strawberry pies. Ten month old dgd Vivian Rose toddled throughout the enormous house, appropriating pieces of jewelry from others then blessing their required charity with her sweet smiles. Four year old dgs Alastair delighted his baby sister with his antics. Three college boys chatted with us about football and their studies in criminal justice and chemical engineering. But the most entertaining topic of the day was Judy’s pre-Black Friday score of two pallets of University of South Florida paper plates! Herself an alumna of USF, Judy and Dave’s son, Matthew, is a freshman there. She and her husband couldn’t be more proud of him and and plan to support the university and their son in every way possible. “It was a great deal!” she told us. “A package of 50 plates marked down from $9 to $3!!! !” When she saw that an entire pallet was available, she intended to buy them all. But then the stock boy told her that there were 4 more pallets in the store room! She thought she exhibited considerable restraint by loading up just one more pallet, generously leaving 3 for other USF fans. We laughed and laughed when she said, “Well, he’s going to be there for 4 years! 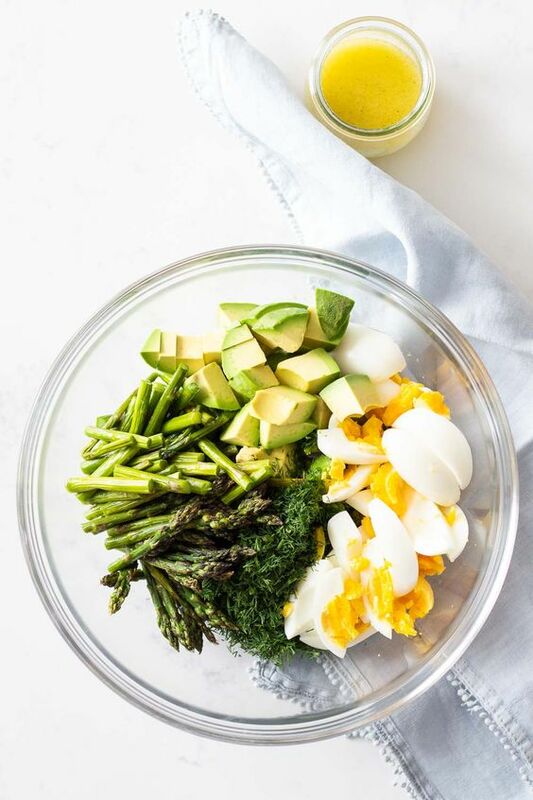 AND we use a LOT of paper plates! AND these are heavy duty AND coated!” The more we laughed the more she tried to justify her purchase. “AND I had an empty shelf in the barn!” which her adoring husband built to store her enormous and elaborate collections of holiday ornaments. It is nearly full. This dear woman could have been Clark Griswold’s sister. When we complimented Judy on the restraint she showed by leaving those 3 pallets, she announced that she had to save room in the barn for the USF paper napkins that would be on sale Black Friday! I wonder if she will buy 8000 to pair up with the plates. Now she is enthusiastically gearing up to use her new Brother embroidery machine to embellish shirts and other items with “USF.” As I began suggesting sources for blanks, her mother, Ruby, told me to hush. “Just how much room do you think is left in that barn?” Her dear husband smiled, but I couldn’t tell if it was a smile of indulgence or resignation. Sunday, our pastor’s sermon was on thankfullness-giving. I liked that. Among the many, many, undeserved blessings which have been showered upon me and my family, I am thankful for a kindred spirit like Judy, who understands and perhaps exceeds my slightly immoderate purchases. And I am thankful for each of you, the readers of this blog. I hope you all reveled in a day of laughter, good food and thankfullness-giving. 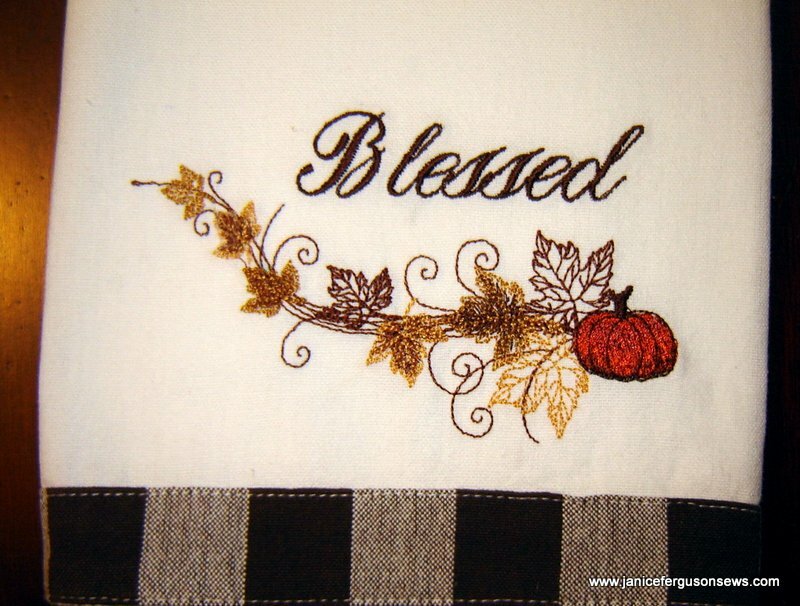 This entry was posted in embroidery blanks, Holiday Projects, home dec, linen blanks, machine embroidery and tagged familythanksgiving, machine embroidery, thanksgiving dishtowels. Bookmark the permalink. Janice – the towels are simply beautiful! What a lucky hostess! And I looooooved the 8,000 paper plate story. What college mother couldn’t identify with her logical reasoning!!! My only problem would be to remember that I have the paper plates in storage! Keep up the wonderful blog. It is a joy to read! Thank you, Sharon. I’m glad you understand her logical college mom reasoning. We laughed and laughed. from SewForum: Those towels are just beautiful! I can imagine how happy the hostess was to receive them! from Martha Pullen forum: Very pretty towels, Janice! Had to laugh about the 8000 plates. Some of us are about that bad with sewing/embroidery stuff. I have slowed quite a bit as I will already need to live several more lifetimes to make a dent. The only good thing about stashing designs is they only consume digital space unlike my latest infatuation with several select vintage machines in cabinets. 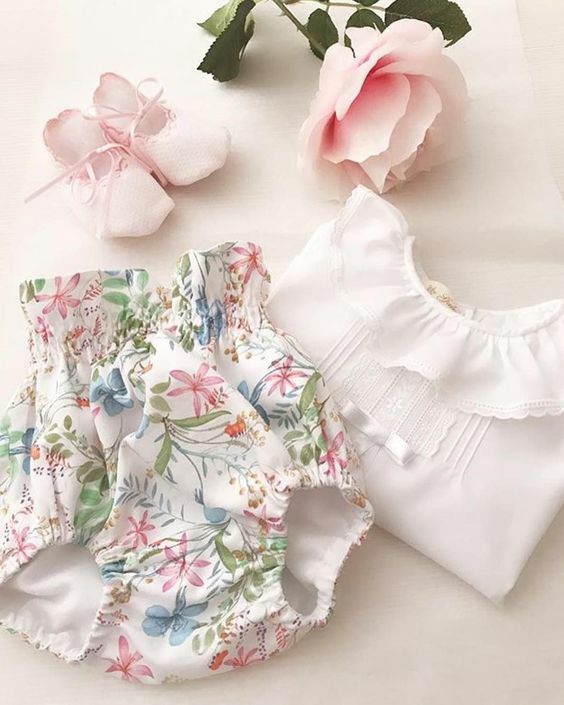 My late mother would be horrified with this stashing thing I do .She was my total opposite sewing wise – one thing at a time and done. Of course the town where we went to school had probably a half dozen fabric departments in stores, plus sewing machine places and several dime stores that had cheap fabric and craft supplies. Her sewing equipment was a pink atlas portable, something for marking,a pencil,pins and a tape measure in a basket. She would set up in the not often used dining room occasionally, get done and put the basket and machine away. 8000 plates -some of us probably have some similar stories regarding stash. Lol ! Now I am really interested in that set of designs; you did a wonderful job of showing them off. Perfect hostess gift and I laughed so hard at all those paper plates! From Martha Pullen forum: I have a huge stash of whatever one might need. Today my DDIL needed some really heavy duty sewing thread to mend a pair of shoes and darned if I didn’t have some. Who knows why? No reason I can remember. And a tapestry needle to stitch with! And she knitted an entire sock for Saskia while she was here, I didn’t even know she could knit and I have known her for 15 years! But, she doesn’t have a stash so she has to come to my house to be supplied with tools! Thanks, Ladies. It seems that all the sewists I know have sizable stashes like ours. Your mother must have been an exception to the rule. 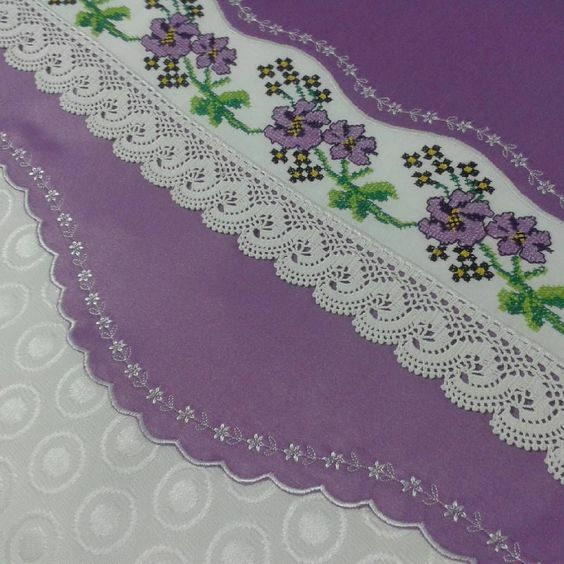 I like your comment about how embroidery designs take up only digital space. Does that justify buying more? I think so! Don’t you find it very satisfying to have just the right tool or notion or print fabric right there at your fingertips? My stash is the source of most of my inspiration. The majority of my projects are made from stash stuff. When I shop, I buy things that catch my eye– fabric, unique tools, trims and notion–s and then stash them. Then when I do an exhaustive FBI-style search of my sewing room ( and that’s what it takes!) for one thing or another, I come across items that seem to belong together. Voila! A project! That design set, Autumn Wreaths from Kreations by Kara, is really very, very pretty. I’m glad you like it. from Martha Pullen Forum: So nice! I like kitchen towels as a hostess gift too. Those designs are wonderful and just perfect for Thanksgiving. Glad you had such a nice day. The towels would be a score for any hostess. I so enjoyed the paper plate tale! Our older daughter lost her job this summer (after 15 yrs in publishing) and has moved back home with us. When she discovered that I had not purged enough to store ALL of her belongings here, she began telling me that I was keeping too many of way too many things! (This didn’t happen overnight, you know.) “You don’t need 500 paper plates and do you really need that many candle holders!”. I did purge some additional things, but not enough. I wish I had a barn. We did tell her that her rented storage unit would be an extended plan. Beckie, it seems that our Mother’s Job Description must include lifetime storage at Mom’s house! Aside from the things my children have left behind for me, I have boxes of yearbooks, trophies, and memorabilia that I think they should keep. My Rebecca often purges whatever she deems excessive. 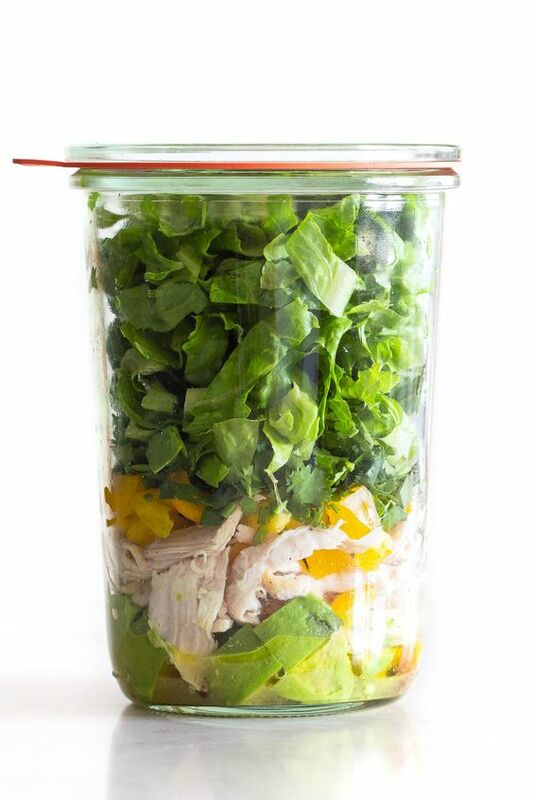 She also checks the cupboards and waits at the refrigerator at midnight to discard items whose expiration date hits at that hour. You can tell your daughter that I think you really do need 500 paper plates, and Judy thinks you should have picked up a pallet or two on Black Friday.